This "E" model cartridge is so named for its elliptical tip and is available in this version or the Low Output EL version. Earn 384 loyalty points when you order this item. 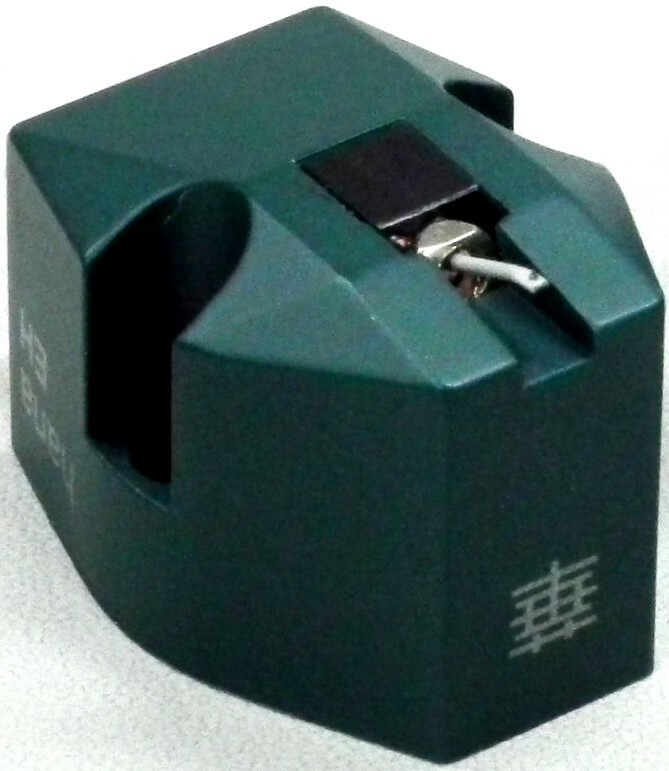 Hana EH high output MC phono cartridge is a high performance, high output Moving Coil cartridge with an elliptical stylus. 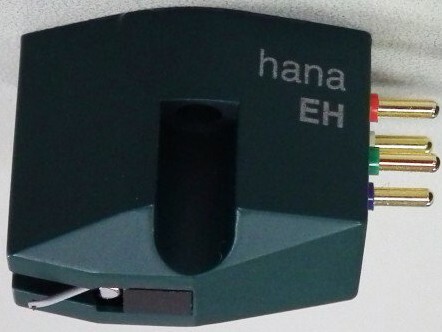 The Hana EH cartridge has a synthetic Elliptical diamond stylus fitted to a high rigidity aluminium cantilever with cross-shaped armature, offering super transparency and excellent trackability. 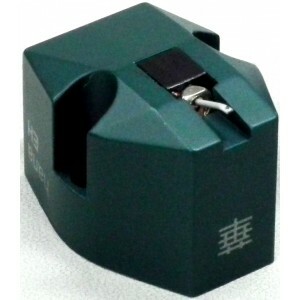 The body of the cartridge is manufactured from a low resonance composite material in dark green. This competitively priced high output moving coil cartridge offers great quality sound referenced against similar priced cartridges. The EH (Elliptical high output) offers 0.5mv/1KHz output. 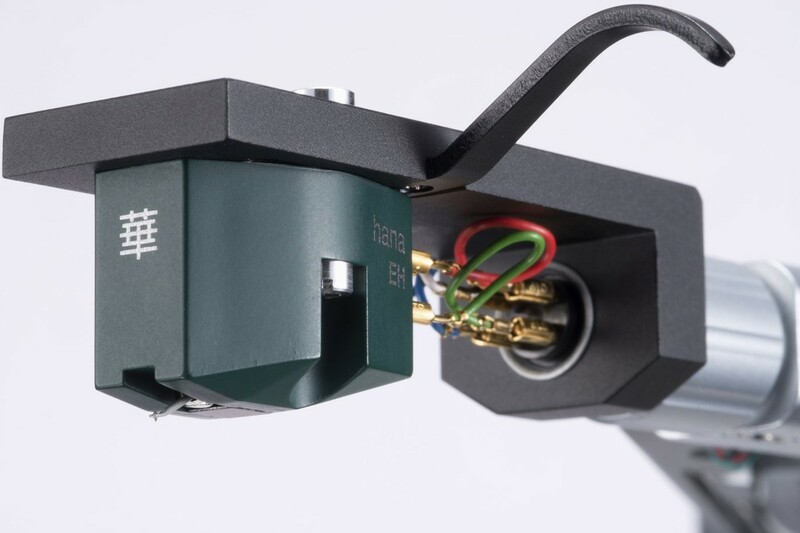 The Hana MC cartridge utilise aluminium cantilevers with great rigidity, and with the armatures, the result is a brilliant sound for Moving Coil (MC) Cartridges of this quality. For over 50 years the Excel Sound Corporation of Tokyo, have been manufacturing cartridges, initially low cost cartridges, like the well regarded Excel ES70. However, in 1978 the Excel Sound Corporation started producing MC cartridges, gaining an expertise in high output Moving Coil cartridges and specialising in OEM cartridge manufacture.